Originally elected to the Pinal County Community College District Governing Board in 1983, Gladys Christensen was re-elected in November of 2012 to a new six-year term. She is the longest-tenured member of the PCCCD Governing Board and has served many roles, including president in 2011 and 2012. Christensen represents the large geographical region of District 1 which consists of the cities of Coolidge, Florence and Eloy in the central region of Arizona, Superior in the northeastern portion of Pinal County, and the communities of Eastern Pinal County from Kearny to Oracle. Christensen spent most of her professional working career as an employment and training program manager before retiring. She has an extensive background in formulating policies and procedures, using her knowledge and experience to serve as planning and zoning commissioner for the city of Coolidge for eight years. Christensen also has been part of service organizations during her career such as Rebekah Lodge, Desert Women’s Club, Single Parent Advisory Group, Mensa International, American Legion Auxiliary, Gila Pinal PIC, Lioness Club, University Dames, Agri-Business Women, CAN-DO, State Advisory Council for Elementary and High School Curriculum, International Association for Personnel in Employment Service, and the Pinal County Personnel Club. A graduate of Arizona State University in Tempe, Ariz., Christensen also completed her master’s degree at the University of the Pacific in Stockton, Calif.
Dr. Debra Banks was elected to the Pinal County Community College District Governing Board in November 2012 to represent District 2 – the San Tan Valley area. Banks has an extensive educational background and her primary occupation has been as an educational consultant for special grant programs, especially those relating to science, technology, engineering and math (STEM). Banks has served in a variety of roles and has held multiple offices. In 1984 she served as the District Academic Senate President for the West Valley and Mission College District in Saratoga-Silicon Valley, Calif., while from 1985-87 she was the California Community College Statewide Academic Senate Board Senator at Large in Sacramento. She chaired the legislation, staff development and was the initiator and key player in changes to the Title V Education Code regarding faculty involvement in curricular decisions as well as accruing funding for staff development. From 1992-95, Banks was the liaison and co-chair for Germanna (Va.) College’s links to Southern Association of Colleges and Schools (SACS), while from 2006-07 she was policy chair for the American Association of University Women’s Oakland-Piedmont Branch. In 2008-09, Banks served as co-chair of the steering committee for the College Alameda’s self study, overseeing the effectiveness, fiscal, physical, human resource and technology areas. Banks is a two-time graduate of the University of Hartford, earning her bachelor’s in experimental psychology and her master’s in biology/genetics. She earned her Ph.D. in higher education policy analysis and research design from UCLA and a Black-Belt master’s certificate in Lean Six-Sigma from Villanova University. 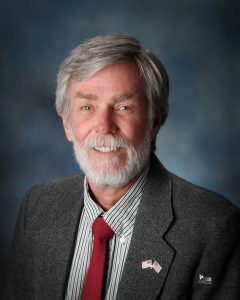 A 1970 graduate of Central Arizona College, Rick Gibson returned to serve his alma mater in 1997 as representative to the Pinal County Community College District Governing Board. He also is the president of the CAC Alumni Association. 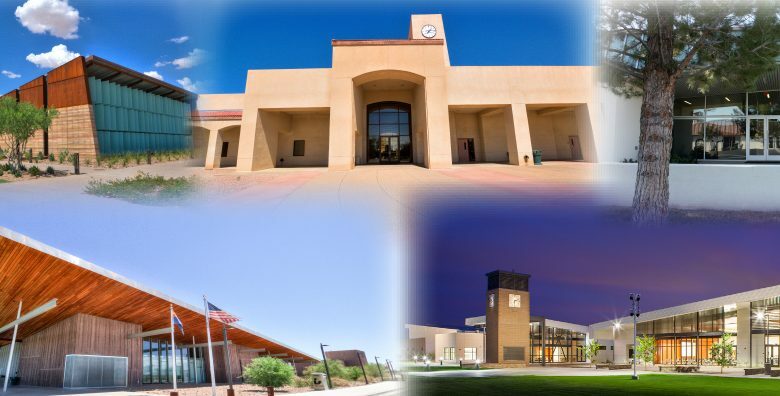 Gibson represents District 3 which consists of the city of Casa Grande and its greater region and extends northwest through the Gila River Indian Community to Pinal County’s border with Maricopa County. Since 1981, Gibson has served as extension agent for agriculture in Pinal County for the University of Arizona and in 1997 became the county extension director. He was elected as the president of the National Association of County Agricultural Agents for 2008-09 and served as a member of the Sun Life Family Health Center Advisory Board and the Arizona Agriculture Extension Association. In 2009, Gibson was inducted into the CAC Wall of Success for his outstanding professional achievement and commitment to his alma mater. He earned his degree in biology from the University of Arizona in 1972 and his master’s degree in plant protection in 1978. Dan Miller has lived in Pinal County, District 4 for the past 10 years. He was appointed by Jill Broussard, Pinal County Superintendent of Schools and sworn in on May 11, 2016. Miller’s career has focused on integrating education into a variety of organizations including the US Navy, Anheuser-Busch, Pepsi, Coca-Cola, and Abbott Nutrition in Casa Grande. While on active duty, Miller attained his B.S in Human Resources and his M.S. in Management. He is currently a Principal Reliability Engineer for the Connecticut-based Genesis Solutions. This consulting firm has assigned Dan to clients across the country in areas best served by his talents, skills, and experiences – Pharmaceutical and Transportation are just two examples. Dan is also a Certified Maintenance and Reliability Professional, Six Sigma Black Belt, and is certified in Lean and Project Management. Miller is a U.S. Navy veteran, writer, photographer, and innovator. He owns a small business, digital Dan Photography, serves on the United Way of Pinal County Board of Directors, and has been a member and chair of the Maricopa Industrial Development Authority (IDA). He is active in the community and supports the Maricopa Chamber of Commerce, as well as local charities including Against Abuse and Maricopa’s Food Bank (FOR). Miller brings a considerable amount of workforce development and asset management experience to the CAC Board of Governors. His understanding of how communities and education synergize on local issues will enable the Board to continually improve its ability to make meaningful decisions as it effectively achieves its impactful strategies. Appointed by Pinal County School Superintendent Jill Broussard, Dave Waldron was sworn in on Feb. 26, 2019. Originally, from Montana Waldron served in the United States Marine Corps from 1968 through 1972. He is a Vietnam Veteran and received an honorable discharge as sergeant. Waldron worked for 17 years as IT Director at Horizon Health and Wellness and for 21 years in law enforcement. For more than 13 years, he was a member of the Apache Junction City Council. Dave is the current Chair of the Pinal County Air Quality Board and has been involved with this board for more than 18 years. He was the former vice chair of the Central Arizona Council of Governments (CAG) and former chair of the Pinal County Regional Transportation Authority (PRTA). Additionally, he was a member of the Apache Junction Planning and Zoning Commission for four years, two of which he was the chair. For 26 years, Waldron has been a resident of Apache Junction and Pinal County. He and his wife Kathleen, of 27 years, are both retired. They have four children and six grandchildren.